The e-Commerce platform, Shopify have announced that they are going to give their store-holders a marketing boost by making their virtual assistant, Kit available for free. The virtual assistant is designed to help Shopify platform users with their marketing efforts, giving them a greater chance of success. The virtual assistant, Kit previously cost between $10 and $15 per month, and was set up to help the Shopify platform users through the use of Facebook messenger or text messages. It can create targeted advertising campaigns or videos on Instagram or Facebook, and the assistant will write the messaging, then find images online, submit the work and then push and drive the marketing forward. Founder of Kit, Michael Perry, said that they feel this is a huge step towards their signature approach to make commerce better on a continuous basis, and that it leads towards enabling more entrepreneurs to be successful. He also said that it is an unprecedented thing to provide people with completely free co-founders who will show up at work every day and be able to contribute constantly. The virtual assistant is now a free benefit for the Shopify platform users, taking no commission and with users paying only the Facebook fees. According to Perry, marketing is one of the hardest parts of starting out as an entrepreneur, and Shopify are dedicating themselves to helping out by offering Kit for free. After all, most people start off as an entrepreneur thanks to the love of their product or service, so it is unsurprising that many people struggle with marketing. Perry also added that the mission of getting commerce better should not be watched through the prism of getting more entrepreneurs, but instead through the fact that they want to create more success for the current and future ones. Kit can also help with sending personalised thank-you emails and with dealing with the other apps that e-Commerce entrepreneurs might be using, helping the platform users create a great all-round experience for their customers. 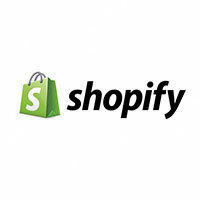 Shopify have identified some of the biggest hurdles which – especially new – entrepreneurs are facing and by making Kit free, they are giving everybody the same opportunity for success – which is beneficial not only for the Shopify platform`s users, but also for the store`s potential customers, and this can only be positive for everyone involved in e-Commerce with Shopify.